With close to 100% of the tourists arriving to Costa Rica coming through San Jose it’s automatically one of the hottest spots to party. It definitely has a different ring to it because it’s the capital city and it’s not a beach town like Jaco. San Jose is at an altitude of 3000 feet and is not the same flow as Jaco Beach. 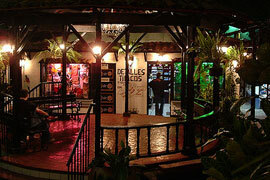 However, one important characteristic that it does possess is that it’s got a hopping night life. 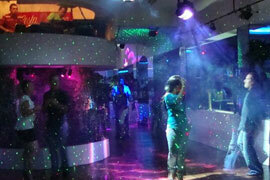 The true Costa Ricans venture into San Jose and hit the hottest clubs in San Jose. No bachelor party is complete without a night in the metropolitan of San Jose. Bachelor Party Bay can put you up in a classy hotel or a beautiful mansion. Castro’s bar is the hottest discothèque in town and lots of our dancing clients will come here to get their grove on if Jaco is too laid back for their dancing shoes. Castro’s bar is my personal favorite. If you’re feeling ballsy you can head upstairs to the karaoke room and test your Espanol with Shakira’s latest hit. Or if you’re feeling frisky you can get your grove on in the dance floor. This place is frequented by most of the most beautiful local girls and a few seasoned tourists. Come early and grab a great dinner then start to hit the dance floor with the locals. Always a popping crowd with some very impressive dancers. Bachelor Party Bay can get you premier VIP access to Castro’s bar and have an awesome time bottle after bottle. One of the most popular places bachelor party spots in San Jose.